What a day! 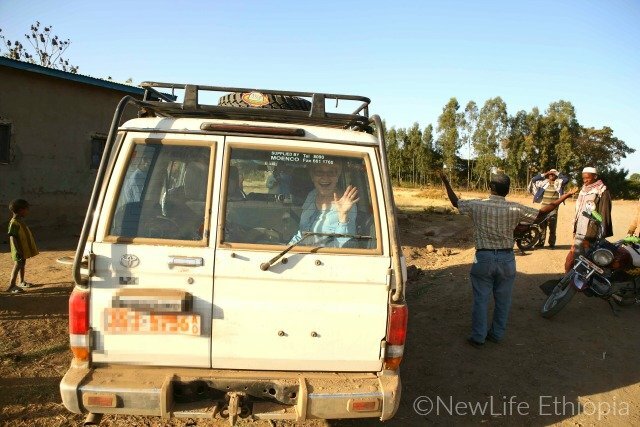 We left shortly after sunrise this morning in our trusty Land Cruiser to visit five church fellowships deep in the countryside. We knew the roads would be more like goat tracks and we were not disappointed. 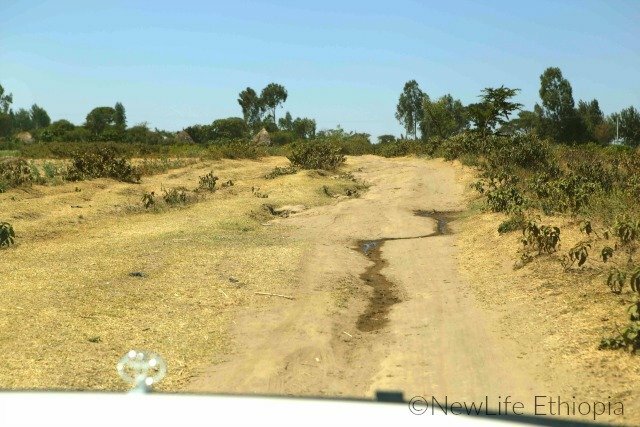 It was a rock-n-roll ride across gullies, around herds of cattle and donkey carts loaded with water containers. 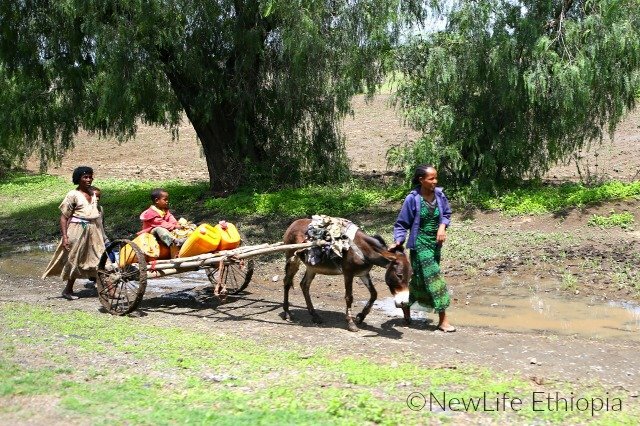 In this area, much time is spent gathering water and happy is the person who owns a donkey. Eleven hours later we are back from where we started, coated in dust. I will be hard-put to adequately capture the memories of this day. This post will seem longer than most because so much was crammed into our day with so many sights and sounds. 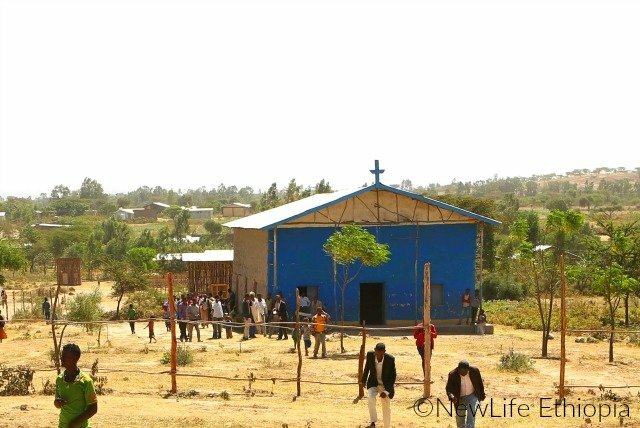 I hope you will stick with me as I take you on a visit of rural churches springing up in the M*slim-dominated countryside of Ethiopia. Jason, Jeff and I were deeply impacted today by the incredible people we have met and the vision God has birthed in these remote villages. 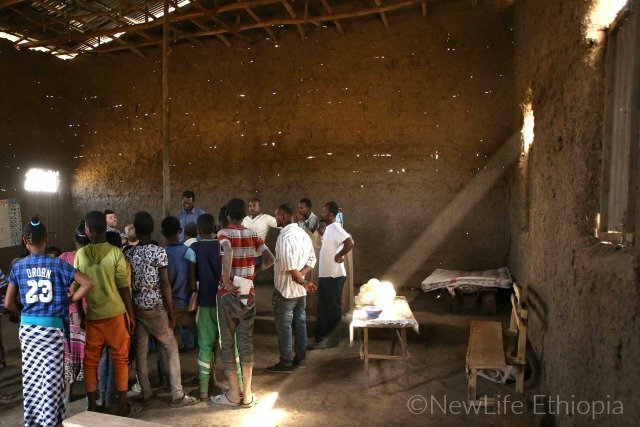 We had the immense honor of meeting the elderly Imam of a village who accepted Jesus as his Lord and by his conversion sparked the beginnings of a church. 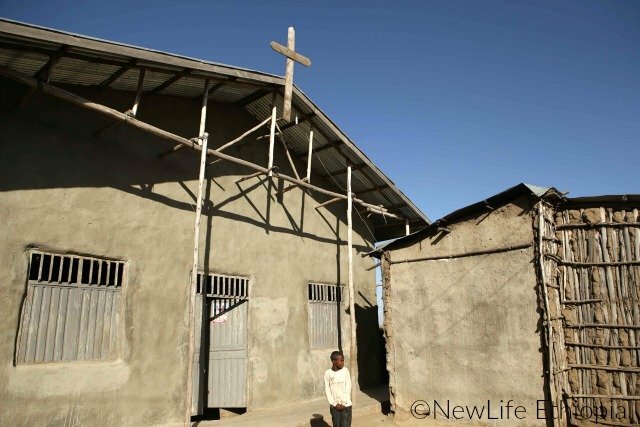 He donated some land so a worship center could be erected. We entered a large traditional building erected one month ago on that property where fifty people were waiting for us. Everyone in the room have been Christians for less than six months and were eager to show off their church. 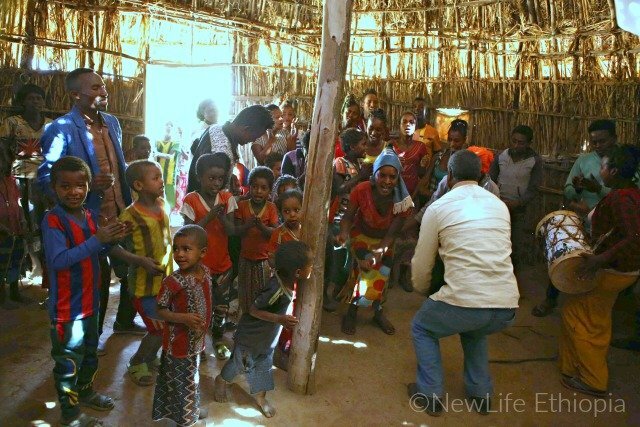 A young girl started drumming and the rest joined in spontaneous worship that would bring joy to anyone’s heart. We were blessed to be in their company as they sang and danced before an audience of One. 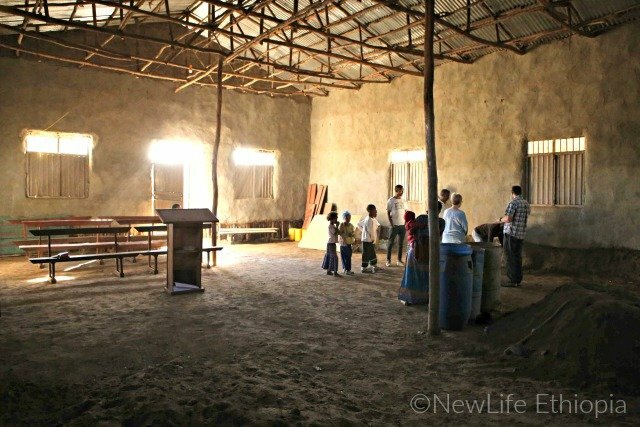 This church is growing, growing, growing and a larger building is necessary to accommodate the new believers and bibles are needed. What encouraging problems! Our next stop was to visit two established churches and meet with the missionaries of the area. Church leaders were preparing for a conference they were hosting this Saturday and Sunday. There will be street evangelism with tracks given away converging at the church for a good old revival meeting. Church members will invite their relatives and friends to come hear God’s Word with the hope that some will give their lives to Christ and many seeds will be planted. Listening to many testimonies these past days, the influence of conferences such as this played a part in several conversions so they are effective.